EPS - Case Carraro 2616 - 4 Wheel Drive Steering Axle 570L - 580SM. All manufactures names, numbers, symbols and descriptions are for reference purposes only. 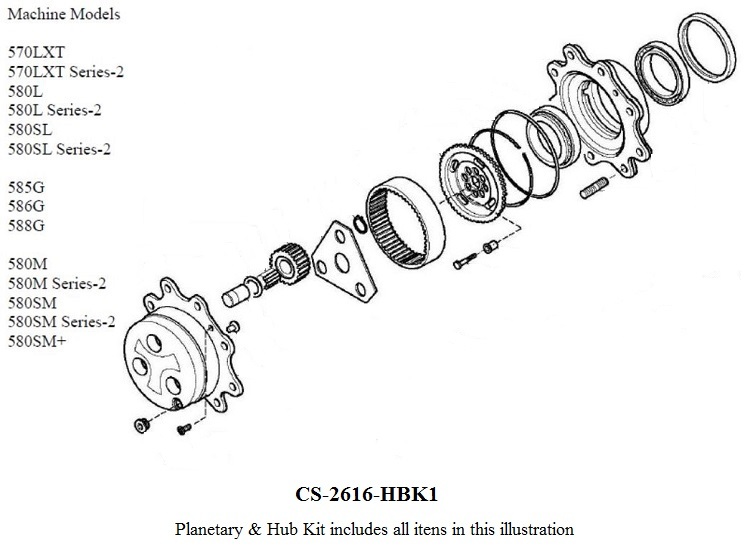 It is not implied that any part listed is the product of CNH or the Case Co. Equipment Parts Source, Inc. is not a representative, associated or affiliated with CNH or the Case Co.
Planetary & Hub Kit. Replaces PV700100. Fits Case Carraro 4wd axle used on 570LXT, 580L, 580L Series 2, 580M, 580M Series 2, 580SM & 580G series forklift.